Wine & cheese – no more words needed! 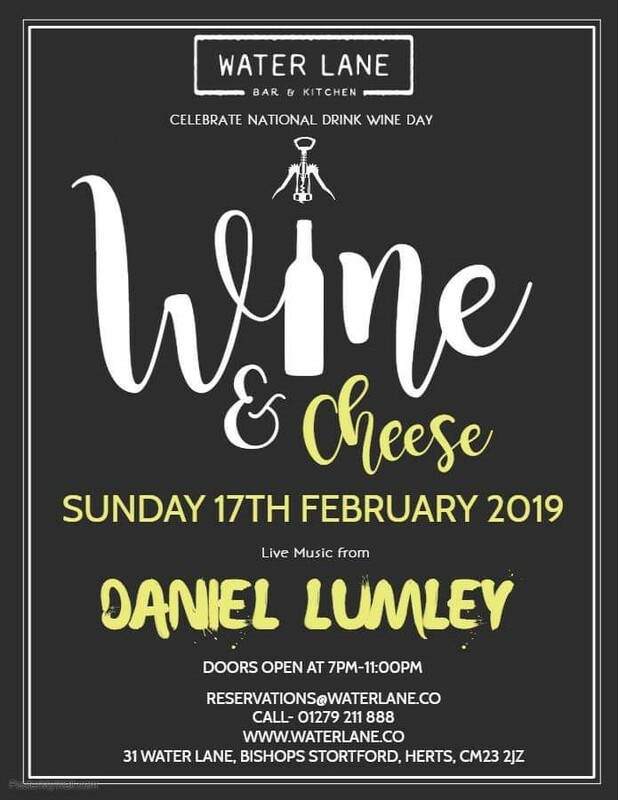 Water Lane is proud to present our first Wine & Cheese night in celebration of "national drink wine day" (yes that's a real thing) on Sunday 17th Feb from 7pm. Enjoy our cheeseboard to end all cheeseboards (hand-picked by our team no less!) including brie, blue cheese, Cheddar & Gouda to name just a few for just £15 and enjoy alongside 10% off wine all night, plus any bottle of Grand Verano Carmenere & Chardonnay for £15 with any board. Add live music from Daniel Lumley from 8pm and we think that’s a perfect evening right there! Email Reservations@waterlane.co or call 01279 211888 to get booked in now.